Now there is no need to get queasy, but have you ever thought of installing a worm farm in your work place? No, they aren’t just for large restaurants and industrial food processing plants. Yes, they do come in all shapes and sizes. And yes, they do add considerably to the ideal of a ‘Green’ office or workplace. Truthfully, it is not such a crazy idea. In fact, state and local government have increasingly gotten behind calls from environmental groups for businesses to set up their own worm farms and provide information on how to get started . Why is this? Basically because Vermiculture (as it is known) is the quintessential recycling concept, with waste decomposed safely, quickly and then feeding the soil again for more food to flourish from. Vermiculture is anything but an excuse to provide over-sized homes for pet wrigglers. In fact, these worms make a hugely significant contribution to improving the environment. This is because as food scraps decompose, they create methane gas – a greenhouse gas that has 20 times the warming capacity that carbon dioxide has. When thousands of tonnes end up in landfills, that means that a huge amount of damage to the environment. In the UK, for example, figures relating to 2007 show that some 6.7 million tonnes of food waste was created, with an estimated 54% of that figure ending up in municipal landfills. In 2011, the global food waste was reckoned to be 1.3 billion tonnes. Earthworms can reduce the volume of food waste by as much as 60%, consuming about the same as its body weight in waste each day. This means a vast reduction in the methane produced via natural decomposition. But the benefits are not just in the atmosphere, but in the soil too. Research has shown that worm ‘casts’ are rich in minerals. In fact, research shows they contain 500% more nitrogen, 700% more phosphorus and 1,100% more potassium that normal soil. As a result, agricultural initiatives like ‘Compost for Soils‘ have sprung up, where farmland benefits from food scraps from the cities. Is a Worm Farm Viable? Given that the worm farm itself is little more than a specially designed wheelie bin, there are very few places that are not able to keep one. Worms are not fussy about where their home is, so even the back of a garage work floor is fine by them. And, since the last thing worms want is sunlight, placing them in the office basement is fine too. The type of food disposed there needs to be regulated, especially with citrus fruits which can create an acidic environment. Scraps like vegetables, fruit, and even coffee grounds are all fine. The soil needs to be cool and damp, so placing a layer of wet cardboard over the top of the material is ideal. It is also necessary to provide good bedding (cardboard and paper base), ensure there is a steady oxygen flow and enough worms to handle the load. Around 1,000 will consume 0.5lbs of organic material each day. Not to worry. There are several commercial worm farming companies that are happy to pick up your waste food scraps, and feed them to their own worms. And, there are alternative ways to compost your own food scraps. 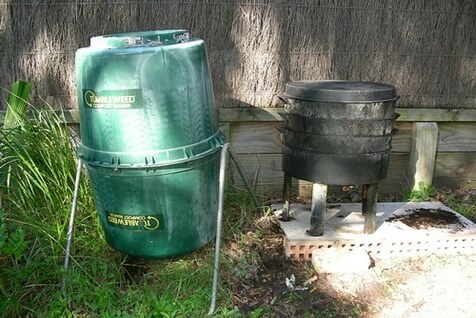 Perhaps the more traditional forms of composting – namely Aerobic and Anaerobic. The only difference between the two is that aerobic uses air. The problem is it is high-maintenance, with the compost needing to be turned every couple of days so someone would have to look after it. Anaerobic is the most common, with food scraps and other organic material simple stacked and compressed. This requires very little maintaining, but it smells and creates toxic gases like methane and ammonia. What is more, it’s not just eco-friendly but soil replenishing. Hard knock it then, even if you do feel a little squeamish! Alsco we offer a variety of solutions to help make your workplace a greener environment like our Ecosafe Washers, it’s water based and exists in its own environment where oil and grease are transformed into water and carbon dioxide. We want to start making our workplace green and eco-friendly. Contact Alsco for more details. Satisfaction guaranteed!